Fight The Frost - Word on the street with Visit Minot!Word on the street with Visit Minot! Coming to Minot in January!! 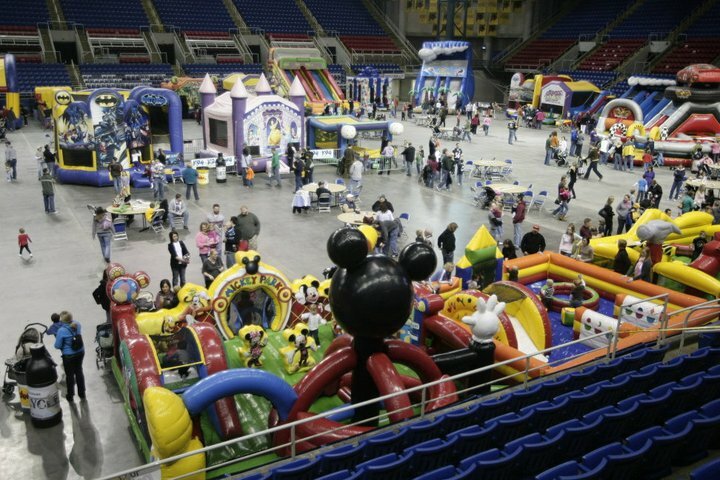 The event features inflatable attractions, also known as, bouncy houses! There will be games for all ages and there will be specific games for children5 and under. Their goal is to beat the winter blues by burning off all the energy that has been stored up all winter. Fight the Frost is put on by Galore Games Party Rental. They travel all over the state in the winter, which we know in North Dakota can be quite a challenge. Fight the Frost will be at the North Dakota State Fair Center January 18th-20th. They will bring with them 25 inflatables and 6 obstacles courses. Fight the Frost will bring an exciting three days this January and maybe get all of the kid’s energy out until summer! This is the first year they will be coming to Minot. You can buy your tickets at the door the day of the event, don’t miss it! 25 inflatables and 6 obstacle courses!